Copyright © Dinky Designs. Images used with permission. 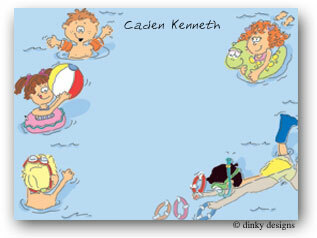 White card with blue background featuring children in a pool. Available personalized or blank. Not Available. However, matching address labels (sold in quantities of 60) can be ordered.